The San Benito County Elections Department has a philosophy to get as many of the qualified ballots counted on Election Night as possible. The Election Staff and volunteers work hard in the weeks leading up to and through Election Day to prepare and count as much as possible on Election Night. 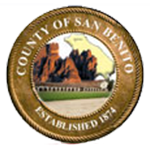 Almost 80% of San Benito County voters Vote-by-Mail or are in a Mail Ballot only precinct. Many of the Vote-by-Mail ballots arrive at the polls on Election Day. We do not have those ballots on site until well into the night on Election Day. Every returned Vote-by-Mail ballot must have the voter’s signature verified, precinct sorted and the ballot is reviewed for electronic readability. This process can take several days and in some Elections even weeks. To see if your ballot has been counted, please view our Ballot Status Lookup Page. Lastly, there are many ballots which were voted provisionally in our office and at the polls. San Benito County has a historical record of accepting over 98% of all provisional ballots. These are the last ballots that we will work and process. The Unprocessed Ballot Report will change over time, as qualified ballots arrive up to three business days after Election Day, and as we work through counting them.